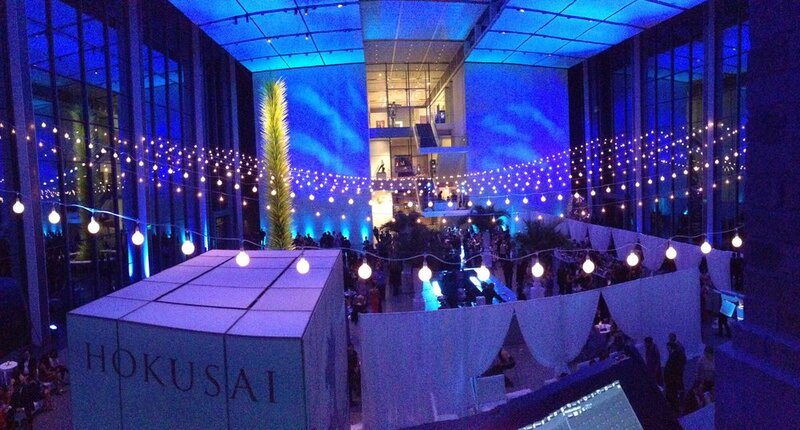 We were thrilled to create a summer rooftop party atmosphere in the Shapiro Courtyard at the Museum of Fine Arts, Boston. 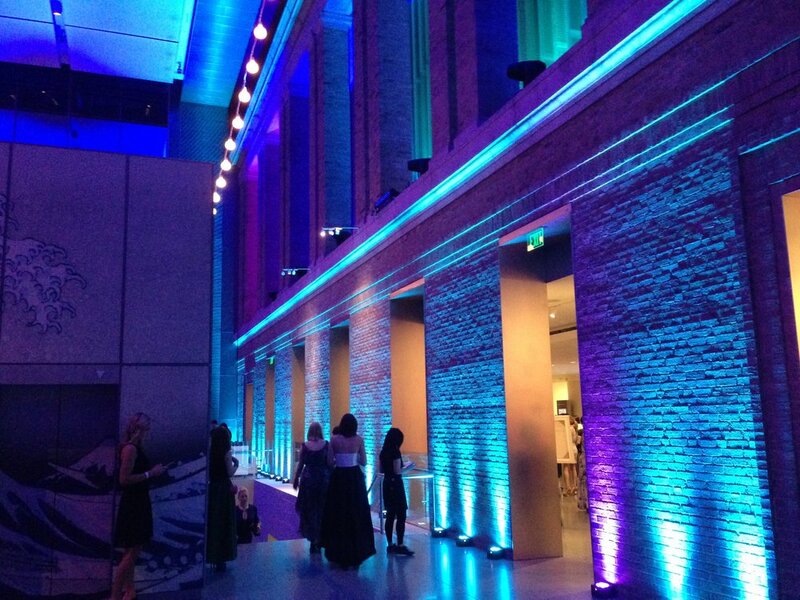 With a 4-hour time crunch for setup (and a priceless Chihuly glass sculpture to avoid! 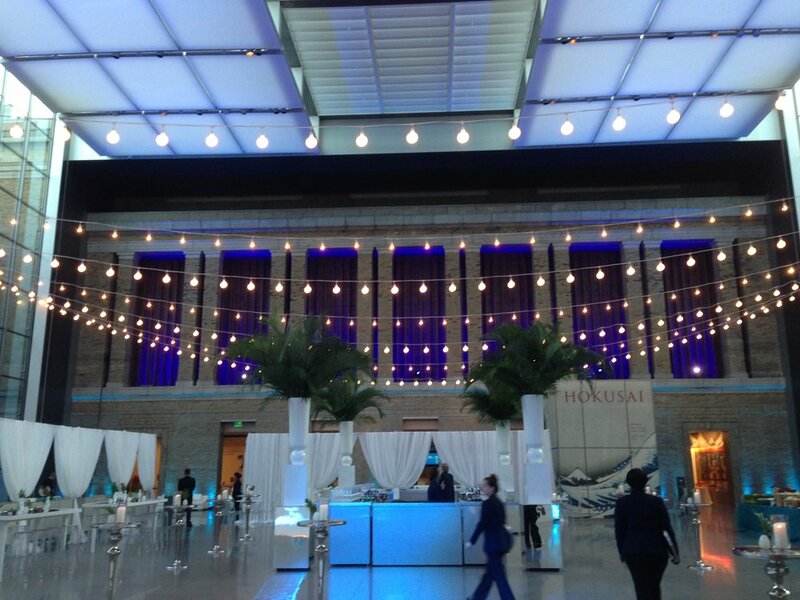 ), we rigged nine runs of 120-foot festoon strings a full 30 feet above the event space and provided additional wall, ceiling and stage lighting throughout with an alternating pattern of frosted G40 bulbs and standard size clear incandescent bulbs. ..........That's a total of 540 light bulbs!